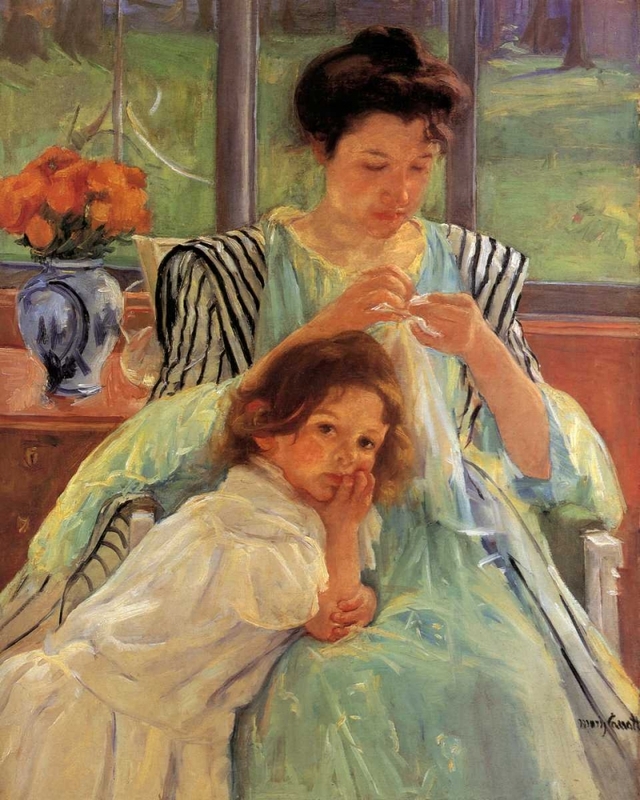 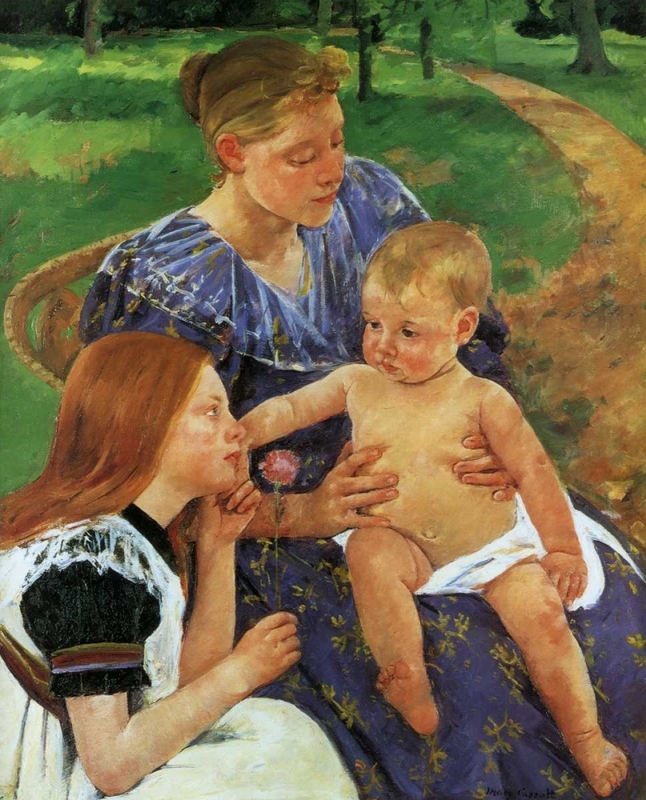 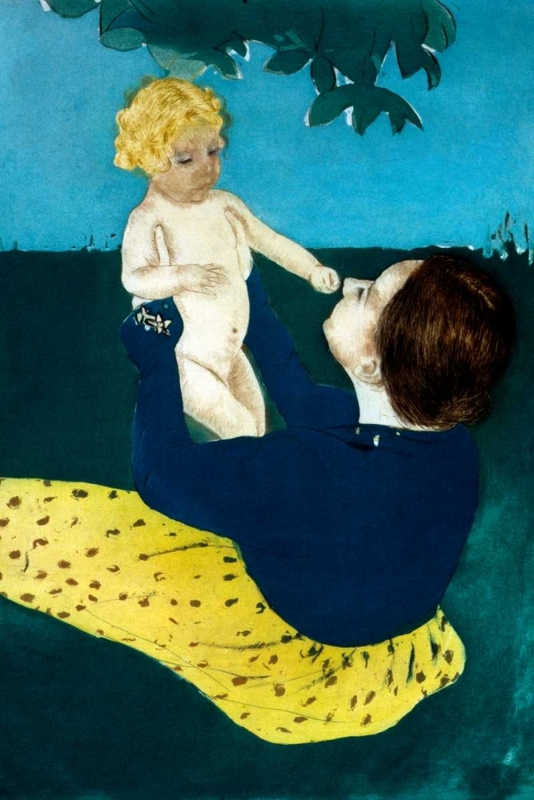 "Born in Pittsburgh in 1844, Mary Cassatt was the daughter of a banker who offered her a privileged upbringing but little encouragement to her desire to become a painter. 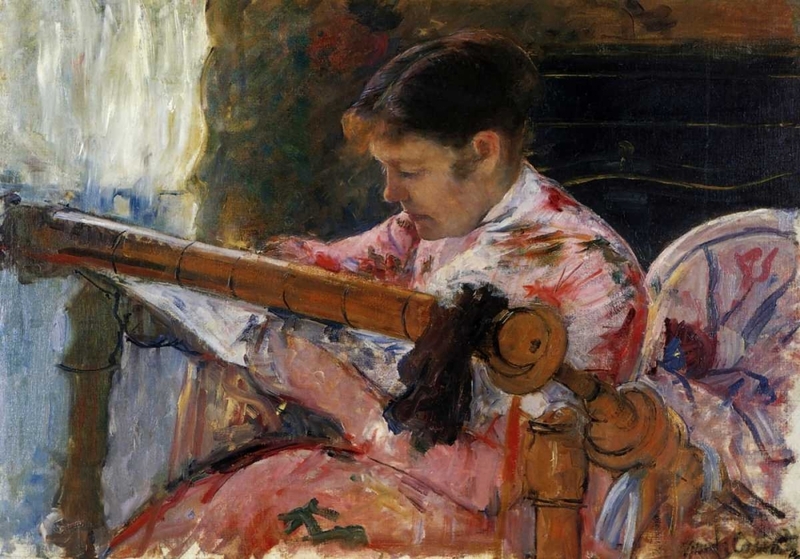 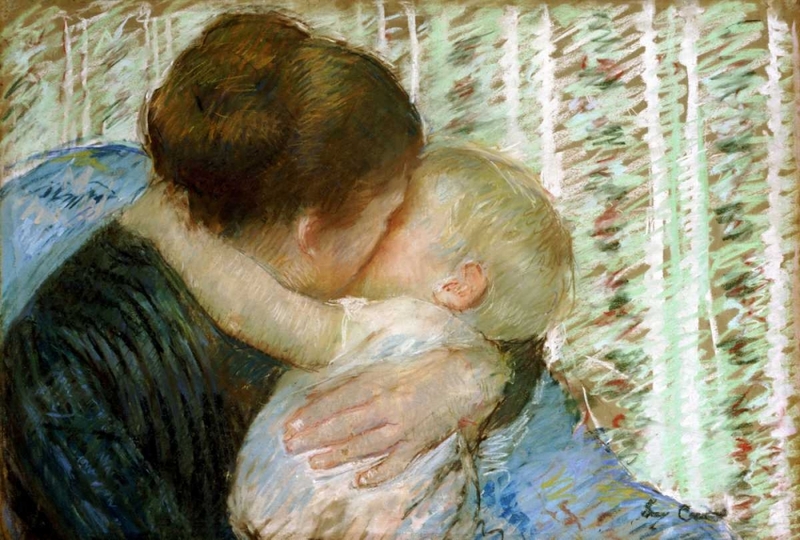 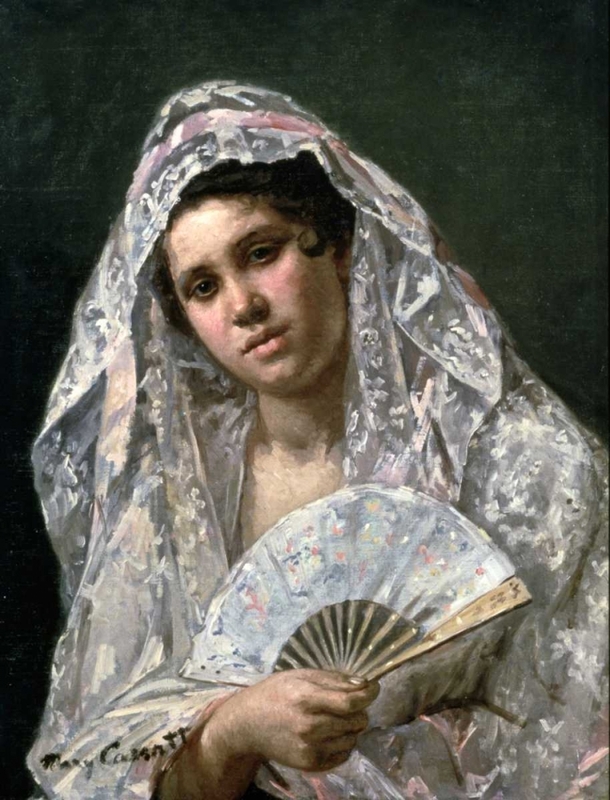 As a child, she travelled extensively throughout Europe.Cassatt studied painting at the Pennsylvania Academy of the Fine Arts between 1861 and 1865 but, impatient at what she considered to be the reactionary style of her education in America, she moved to Paris in 1866.There she studied under Chaplain and her first painting was accepted at the Paris Salon in 1872. 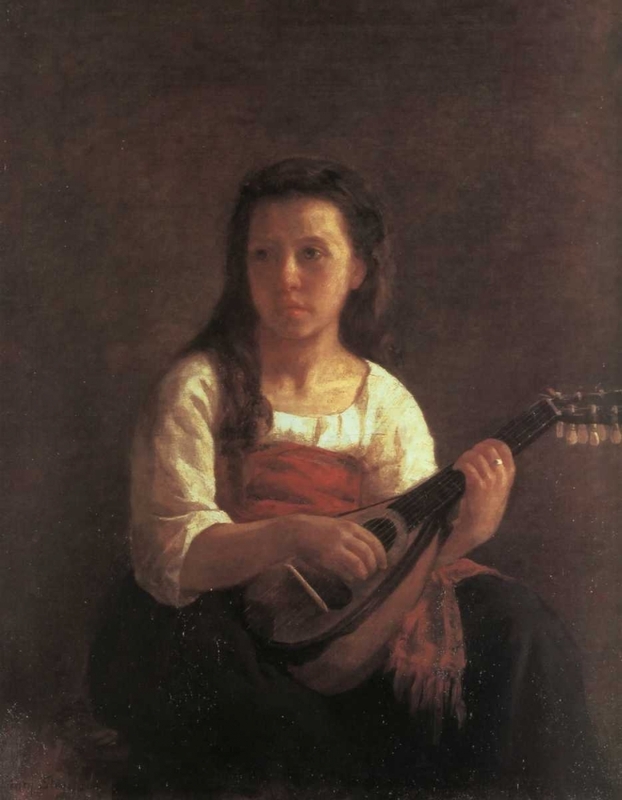 She became though more interested in the work of Courbet, Manet and the Impressionists. 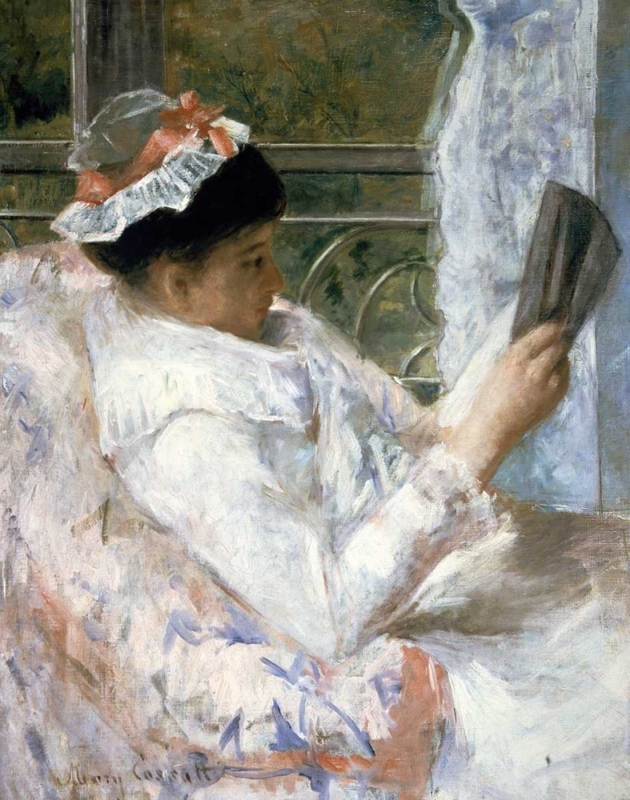 In the mid-1870s she met Degas and he invited her to exhibit with the Impressionists, which she did in 1879, 1880, 1881 and 1886. 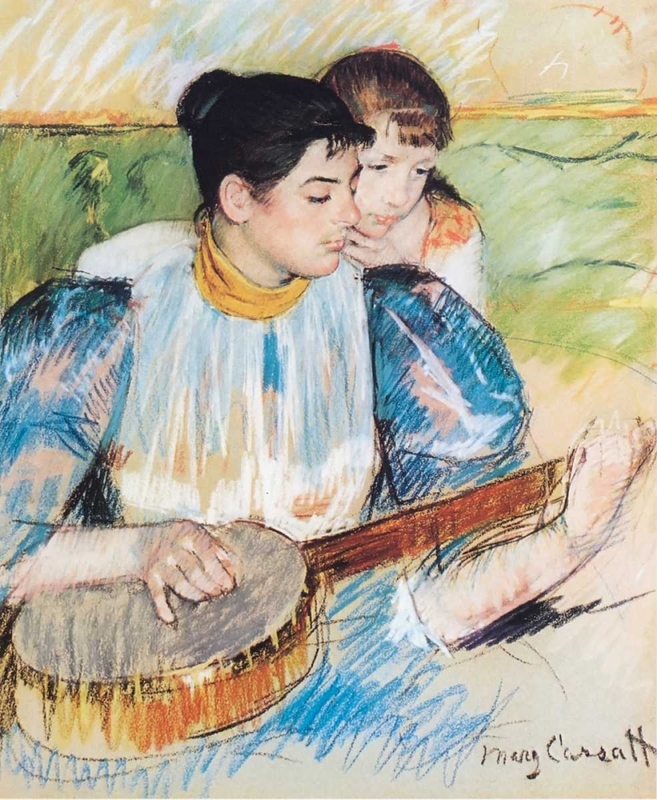 From Degas she learnt a style of fast and strong design, full of character and from Renoir, with whom she also studied, she learned of brilliant luminosity.As with many of the Impressionists, increasingly she moved to create her artwork in pastels rather than oil. 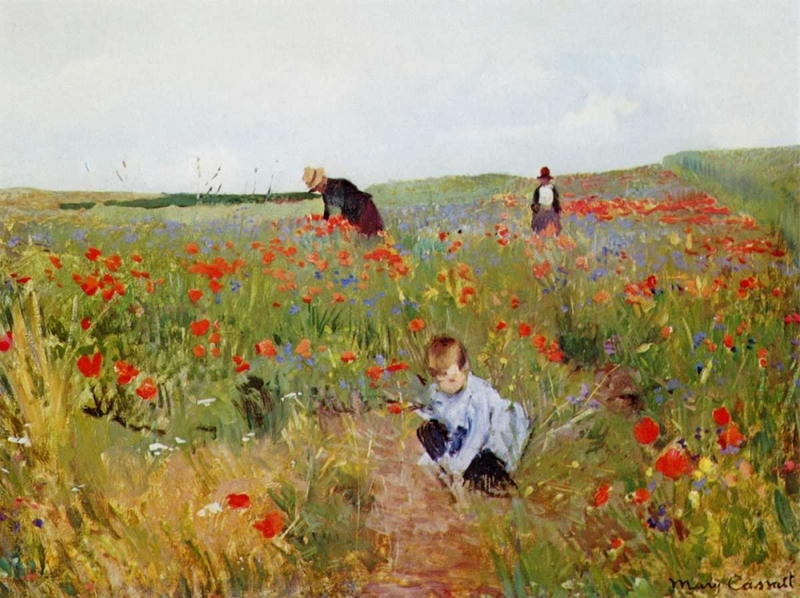 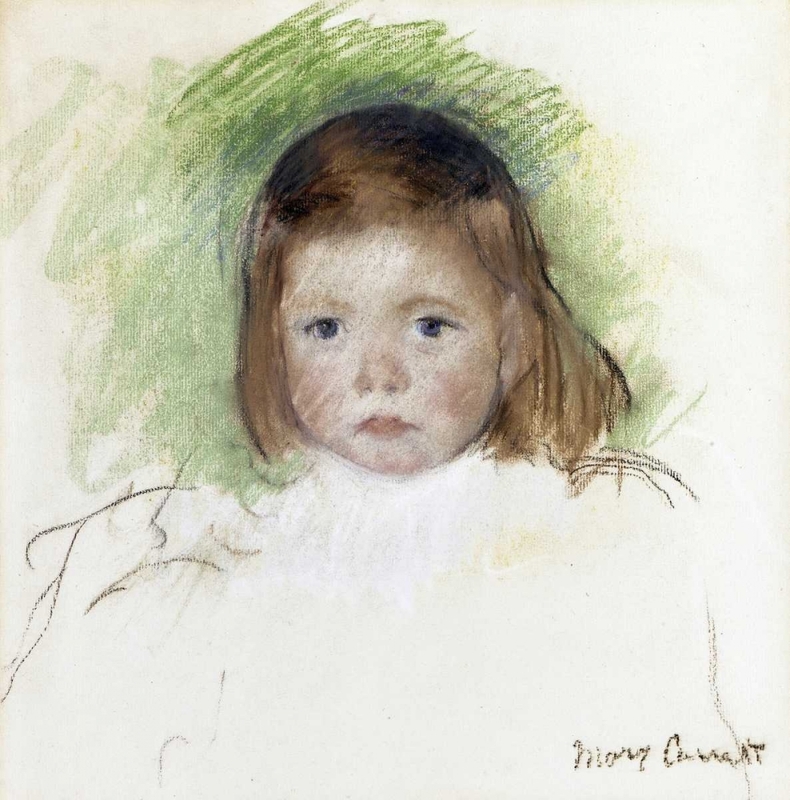 She established an increasingly firm reputation throughout the 1880s and 1890s, when she also experimented increasingly with new styles away from impressionism. 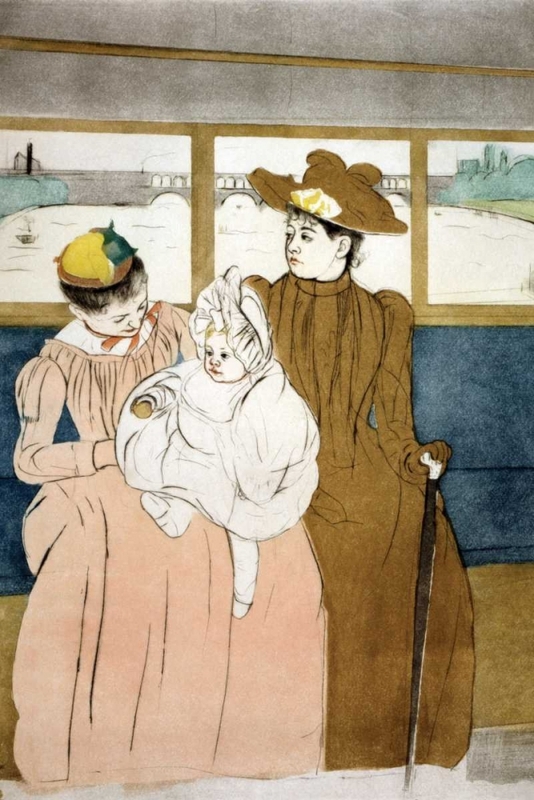 So great was her eventual success that she was awarded the Legion d’Honneur in 1904.Sadly, by 1912 she had become partially blind, and was totally so by the time of her death in 1926."